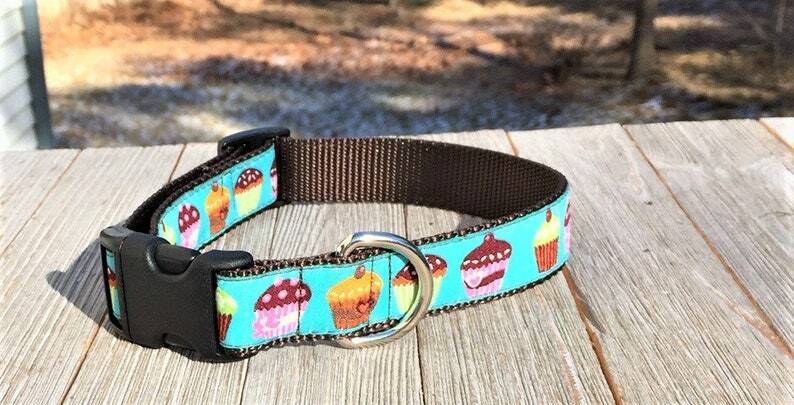 This is an eye catching cupcake pattern. Sewn onto brown or pink nylon webbing. Matching leash also available. Please let us know which length you would like and I will create a listing for it. 4' leash is $21.99, 5' is $22.99, 6' is $23.99 with a nickel snap. Thanks!